Home » Aligning to Standards » The New High School Math TEKS: Are You Ready? The New High School Math TEKS: Are You Ready? August 24, 2014 will mark the beginning of the 365-day countdown to when high school teachers will be required to teach the new high school math Texas Essential Knowledge and Skills (TEKS). Teachers across the state have been working hard to prepare for the changes. Districts are adjusting instruction, instructional materials and assessments to ensure students will learn the new standards successfully. 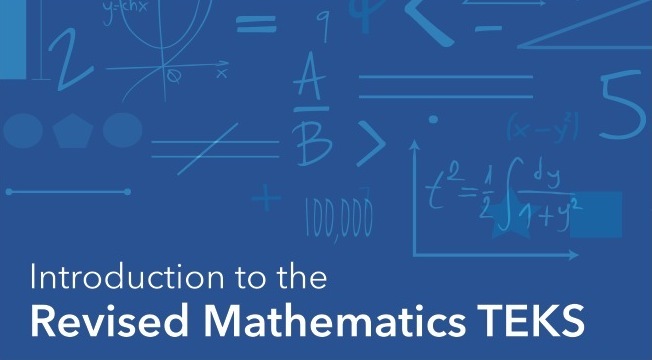 On Friday, July 25, 2014, the Texas Education Agency released a document to better assist teachers in this process, The Revised Mathematics TEKS: Side-by-Side Comparison documents for Algebra I, Algebra II and Geometry. The documents show educators in a user-friendly, color-coded template, what content has been added, deleted, has remained the same and/or has been clarified. In addition, the document provides critical instructional implication details in the Supporting Information column. We look forward to your responses via the comment field of this blog. All answers will be compiled anonymously in an upcoming blog post by the end of July. Thank you for participating. * If you enjoyed reading this article, you may also enjoy: Before Buying Instructional Materials, What Would You Ask?